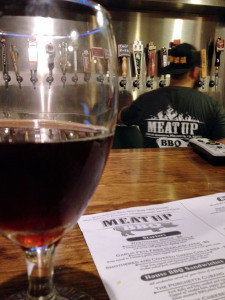 When you step into Meat Up BBQ, the scent of smokehouse barbecue fills the air, you’re greeted with 25 beers on tap, and you think to yourself, this is exactly where I want to be. Look a little closer at the tap handles and you’ll find your heart racing at the anticipation you face wanting to get a pint glass to your mouth as some liquid goodness rolls down your throat. That, my friends, is Meat Up BBQ. As a transplant living in Orange County for the past two and a half years, I quickly learned that I’ve lived in the best place in the world for food trucks and craft beer, Orange County. Some of my favorite food trucks were discovered at breweries– The Viking Truck at The Bruery and GarlicScapes, at Bootleggers. These trucks have been serving Orange County before I ever got here and I suppose I’ve lived here long enough to see my two favorite food trucks get together and birth the perfect child of barbecue and beer– Meat Up BBQ. Yes, the masterminds behind my two favorite food trucks have joined forces to create all that is holy and gain control over what beers they serve with their food. 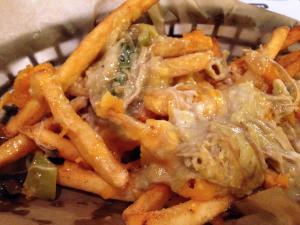 Food trucks have been popping up left and right and have taken their success to opening up a brick and mortar restaurant, complete with the same food you’d find on the truck. While noshing off a truck at a brewery is still great, Meat Up reverses the equation by picking beers to pair with a solid menu. Meat Up BBQ takes what we know and love here in California and adds it to some southern style barbecue to create what they call “West Coast barbecue.” They have chili verde fries that include pulled pork, featured a chicken sandwich that had pickled vegetables just as a bahn mi would, and even cornbread made with oranges that the owner, Luis, was kind enough to let me try. Now for that tap list. 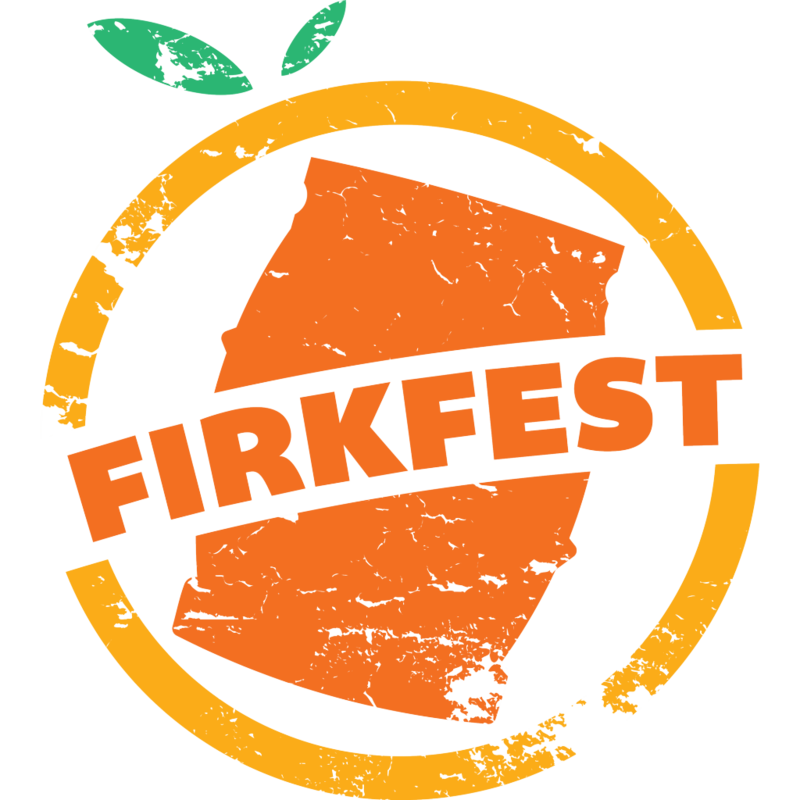 I must say, that’s what drew me in more than the food when I saw they had my favorite beer, Anderson Valley’s The Kimmie, The Yink, and the Holy Gose on tap! Once I got there, Knee Deep Brewing’s Simtra and High Water Brewing’s Campfire Stout distracted me from getting the Gose. These were beers I haven’t tried and have not come across. The next time I went, news of a collab from Knee Deep and Kern River lured me in. Some might argue that it’s better than Pliny the Elder, but I’d have to try them side-by-side to prove that argument. 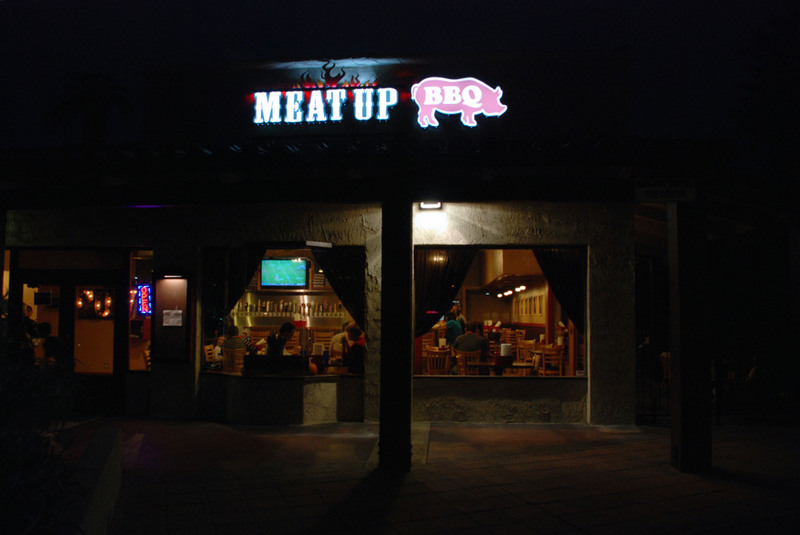 Check out Meat Up BBQ at the 57 Freeway/Yorba Linda Blvd near Cal State Fullerton. 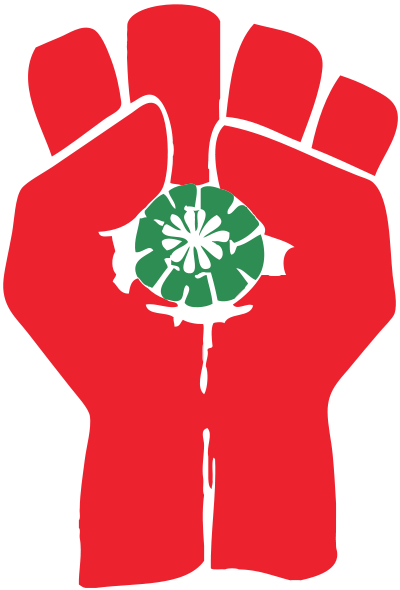 OCBeerBlog is very excited to have our first blog contributor, Jante Ziarra. She’s a native Hawaiian, world traveller, journalism major, gastonerd and most importantly, a beer geek. Her stories are simple windows to the world paired with dreamy photography. This entry was posted in Beer and Nosh, Placentia, Restaurant Opening and tagged meatup bbq, placentia, yorba linda by Gregory Nagel. Bookmark the permalink.